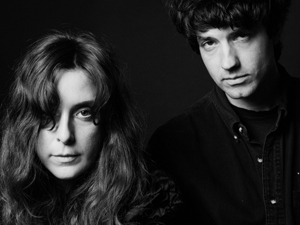 Hailing from Baltimore, MD, Beach House plays an otherworldly brand of low-key, psychedelic dream pop that is dark, ethereal, and alluringly hypnotic. Comprised of the French-born Victoria Legrand and Baltimore native Alex Scally, the duo crossed paths in the Baltimore music scene in 2004 and have since been writing and performing together for over a decade. The recent release of their critically acclaimed albums, Depression Cherry and Thank Your Lucky Stars, marks their 5th and 6th full-length albums respectively, and their 3rd and 4th LP’s out on Sub Pop Records.